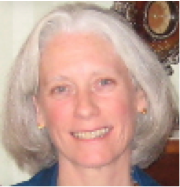 Ann Corson, MD grew up in Southeastern Pennsylvania and obtained her MD degree from the University of Pennsylvania School of Medicine in Philadelphia, PA in 1982. She has been Board Certified in the practice of Family Medicine since 1993. In 2005, she began studying and practicing Integrative Medicine and was Board Certified in Integrative Holistic Medicine in November 2011. Dr. Corson has been a member of the International Lyme and Associated Diseases Society (ILADS) since 2003. She studied with Dr. Joseph Burrascano and Dr. Charles Ray Jones on grants provided by ILADS-Turn the Corner Foundation. In November 2009, Turn the Corner Foundation awarded Dr. Corson with their Physicians Training Program Impact Award for her dedication to teaching other physicians about the diagnosis and management of tick-borne diseases. Dr. Corson’s integrative family practice in Chester County, PA is devoted full time to the treatment of patients suffering from a variety of chronic illnesses.